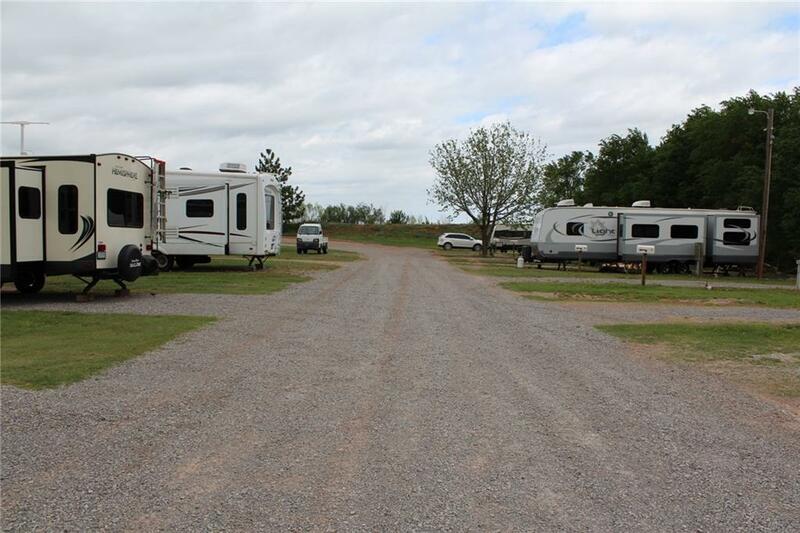 This beautiful RV Park is located in Sayre right off I-40 yet tucked behind mature trees and creek. This park generates income from the local community, oilfield and travelers. The Park has undergone a massive renovation and is immaculate. There are 30 RV lots each having individual water, sewer and electric hook-ups, water shut off and private mailbox. There are also 6 mobile home lots. There is ample space between lots, and picnic tables, fire pits, trees and flower beds have been added. The Park features an upgraded WIFI network, security surveillance system and a great bistro lit community space by the creek to sit around a fire. There is also a laundry facility, storm shelter, 20x20 insulated shop and a 4 bedroom, 2 bath mobile home that offers owners home and office or rental options. New signs have been added and an abundance of marketing to drive in new traffic. Lastly, there is room for expansion to add additional lots.